Picture this - you’re walking along a warm shoreline with the soft sand giving way beneath your toes, the sun hangs low in the sky, and in the far off distance is a ridge of rocky land peppered with trees. Welcome to Crete. This island sits in the sapphire Mediterranean Sea, and is by far one of the most beautiful and mythical of the Greek islands. Said to be the birthplace of Zeus, Crete is a location that’s drenched in as much story as sunshine, with local myths and legends that are told all over the world to this day. Popular with holidaymakers looking for a taste of history, there’s a huge amount of culture to soak up alongside the good food, wine and weather. 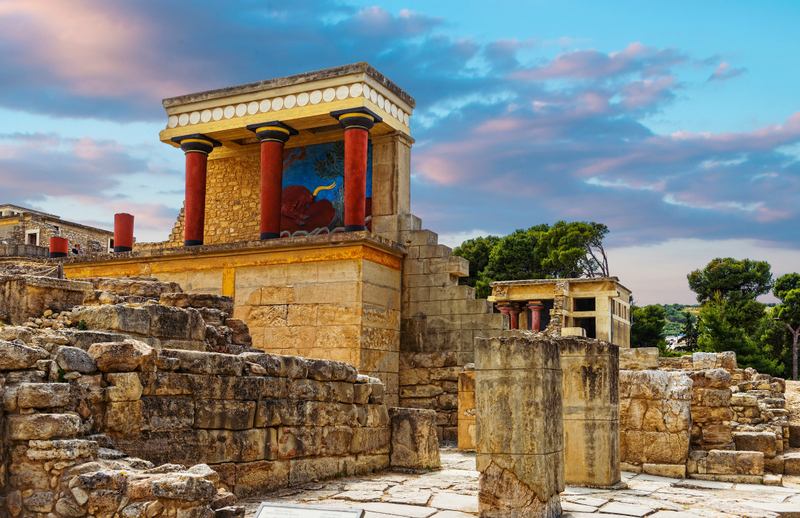 Begin immersing yourself in Crete’s rich history by heading to the Palace of Knossos. Located three miles south of Heraklion, The Palace of Knossos dates to 1900BC when it was the grand capital of Minoan Crete. It’s the setting for the myth of the Minotaur, where legend has it that the King Minos was given a white bull to sacrifice to Poseidon. However, King Minos kept it, incurring the wrath of Poseidon who punished the king by causing King Minos’s wife to fall in love with the animal. 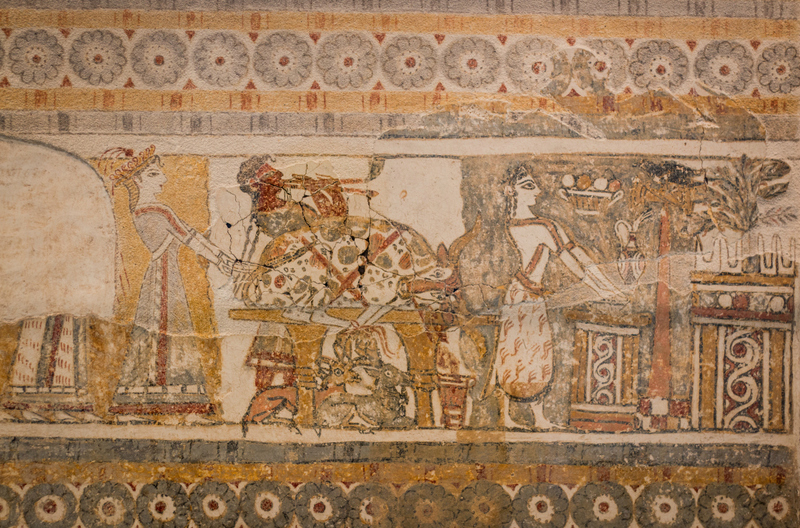 The result of the love affair was a Minotaur – half man and half bull – a beast that King Minos imprisoned in a dark and dangerous labyrinth beneath the palace. Pay the palace a visit to admire the charging bull fresco near the north entrance, and feast your eyes upon the alabaster throne in the central court. Recent excavations on the island have shown that the labyrinth may even have existed – in the Labyrinthos Caves in Gortyn on the south of the island. The Archaeological Museum of Heraklion is Crete’s historic jewel, home to two floors of artefacts of Minoan, Roman and Neolithic origin. Drink in every last drop of history, working your way around the museum’s collections of pottery, jewellery and sarcophagi if you really want to understand the depth of this island’s identity. The colour-coded rooms’ artefacts are displayed with descriptions in English; a visit among these storied treasures is the perfect way to spend the afternoon if you fancy escaping the heat of the Cretan sun for a few hours. You can access these iconic locations using public transport, but you’ll have a much easier time if you use a car. Car hire in Crete is a good idea if you want to see these places in comfort, and it’s almost a necessity if you fancy seeing some beautiful landmarks too. 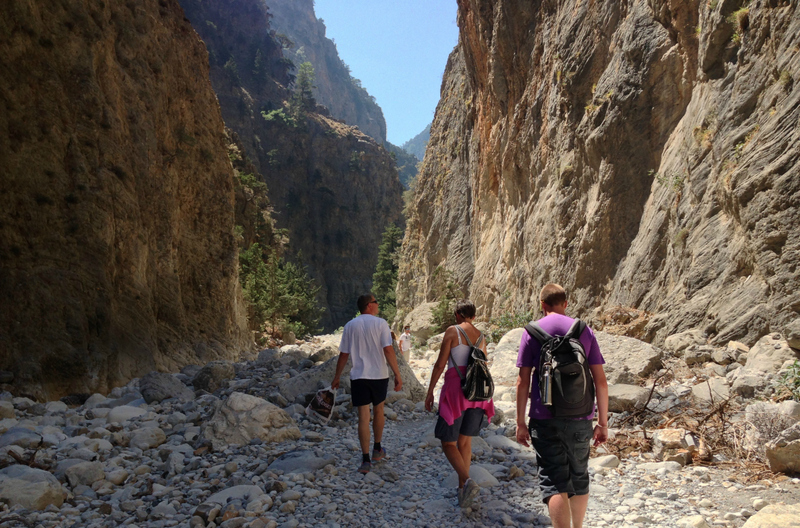 The Samariá Gorge is one such place, where guided hikes are available through the White Mountains, along steep trails and down into the depths of the gorge’s soaring white walls. Crete is home to some beautiful, mythical landmarks both manmade and natural. So, pay it a visit for a dose of history and outstanding natural beauty for an experience that will linger in your memory.